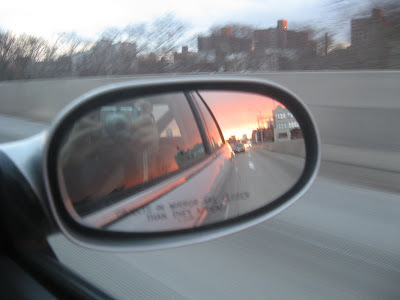 Careening down the Long Island Expressway with the most spectacular sunset of the winter going on behind you. By the time you reach high ground on the Kosciuszko Bridge, it's all over. Then you realize the traffic keeping you from the sunset was caused by everybody slowing to look at the sunset.